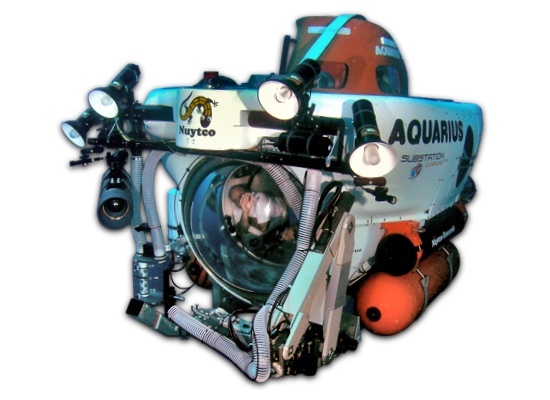 Aquarius - Nuytco Research Ltd. 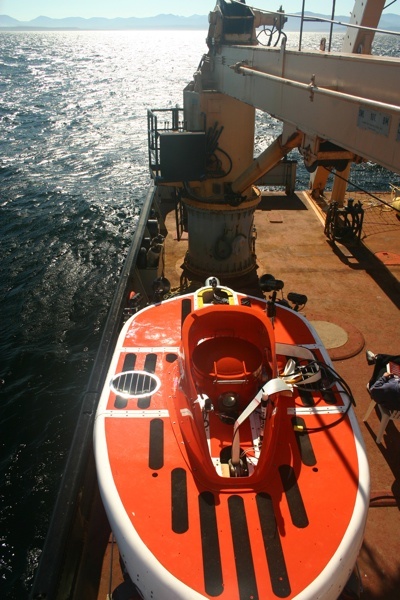 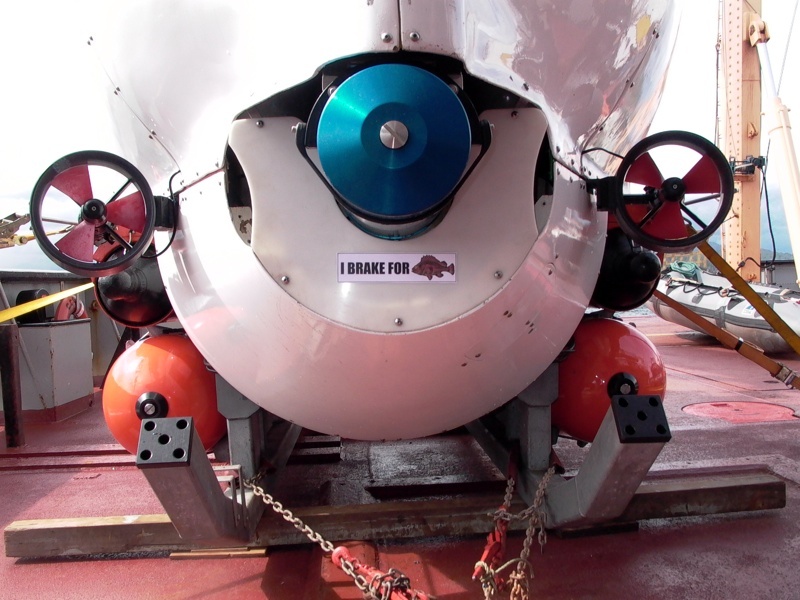 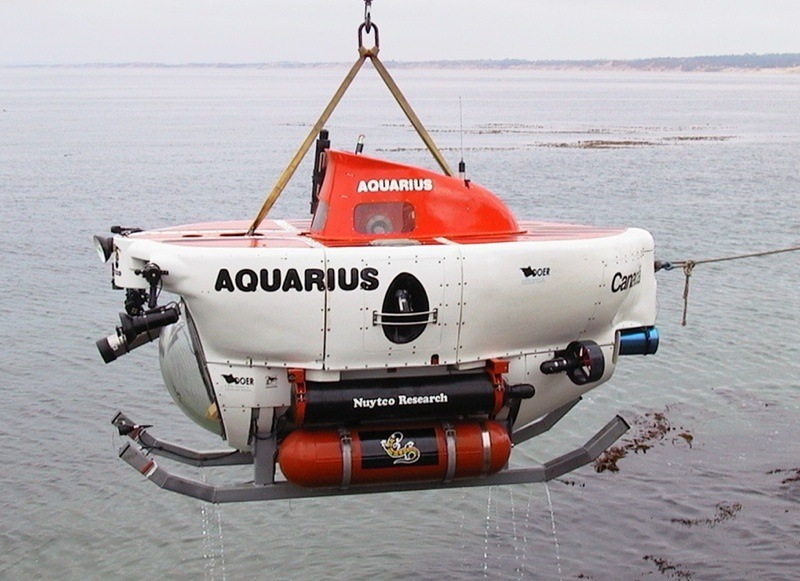 The Aquarius submersible can take a pilot and two passengers to depths up to 1000 ft (300m). 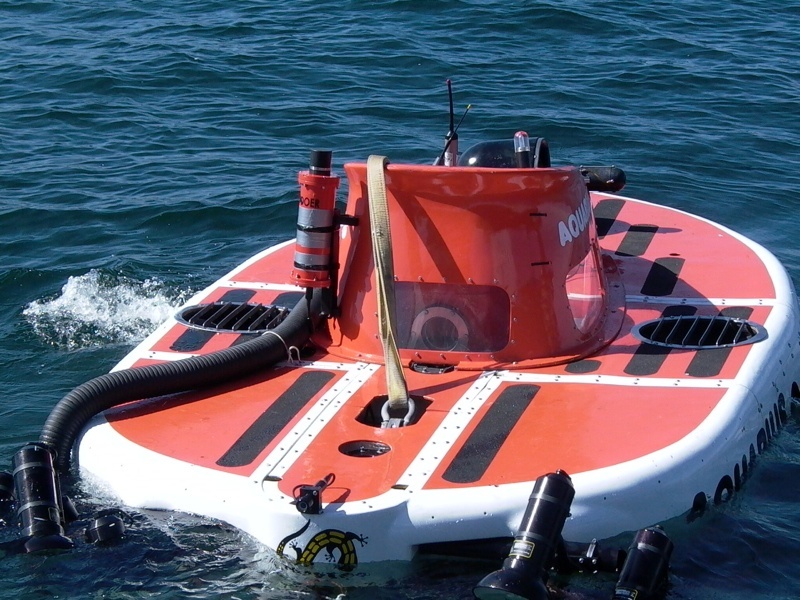 With a huge 40" (100cm) acrylic viewport, Aquarius is an ideal platform for scientific and commercial surveying or tourism. 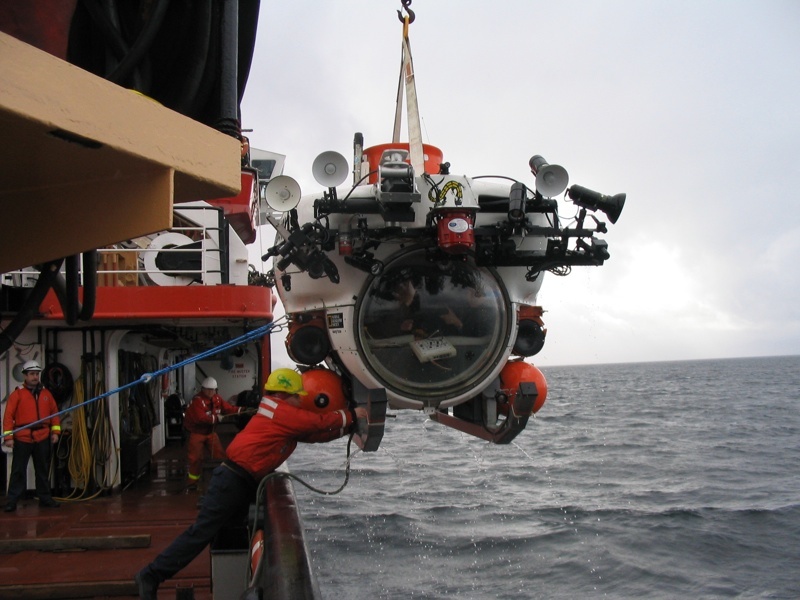 Seven-function manipulator offers functional dexterity. 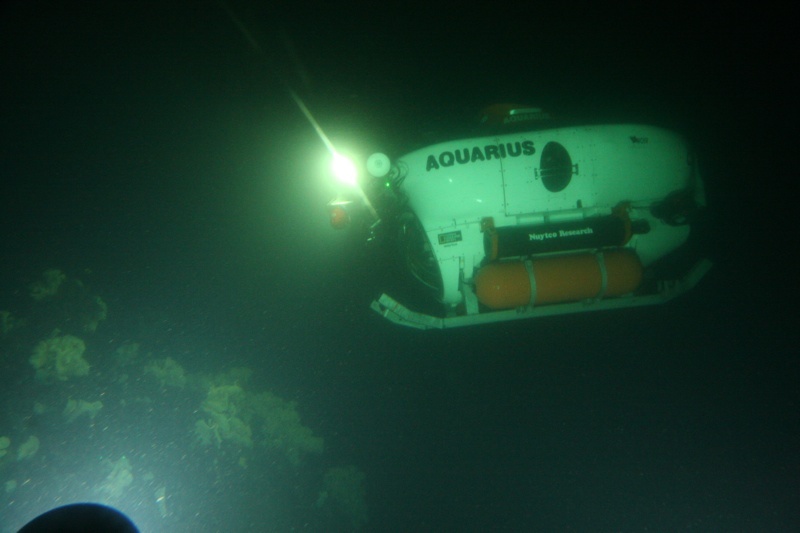 Sampling, measuring and tracking suites make Aquarius an excellent choice for scientific expeditions; HD camera, high density video storage, studio sound and adaptable lighting array make Aquarius the go-to platform for film and TV work.